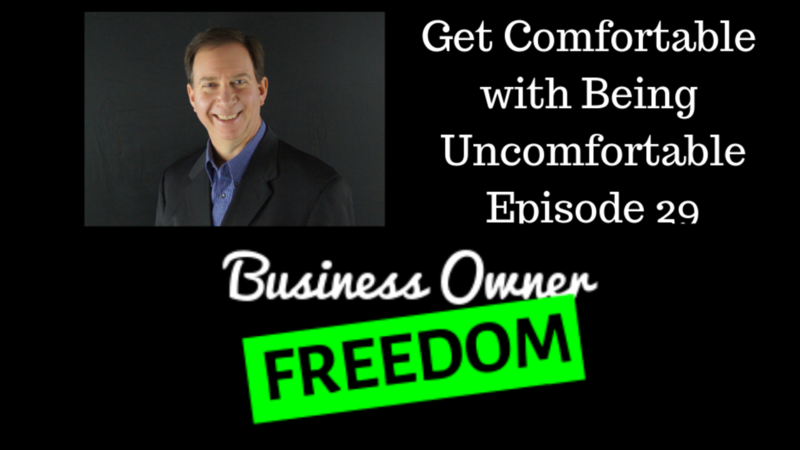 Why is it critical to get uncomfortable? Growth. If we want go grow we have to move from the comfortable zone to the uncomfortable zone. It's necessary for positive change. When we get comfortable with being uncomfortable, it means that is our new normal. To constantly be in a state of improvement means we have to continuously live with the discomfort of trying new things. This has to be what we are comfortable doing, challenging ourselves. Once we accomplish or conquer something that was originally uncomfortable, it is now easy and comfortable. If we stay in the comfort zone, we stop progressing. So the answer is to get uncomfortable yet again. We have to keep challenging ourselves. My recent experience with being uncomfortable has to do with the quest I had to become confident on video. As you listen to the episode you can hear the story. It was a 21 day journey from fear to confidence. Once I stepped through the fear and decided to grow, I changed. I now know how to be confident on video. Click here to see the 21 day course I completed. You can see me being interviewed by Ian Rajkumar about my experience. Check me out in my farm clothes as he impromptu called me so he could ensure I would be authentic in my answers. Loved it! You have to take the first step to initiate growth. Step from your fear into faith and challenge yourself to be better than the you of the day before. Once you experience this transformation, and you do it again and again, you will truly become comfortable being uncomfortable. PS - I referred to the book, This Is Marketing by Seth Godin in the show.